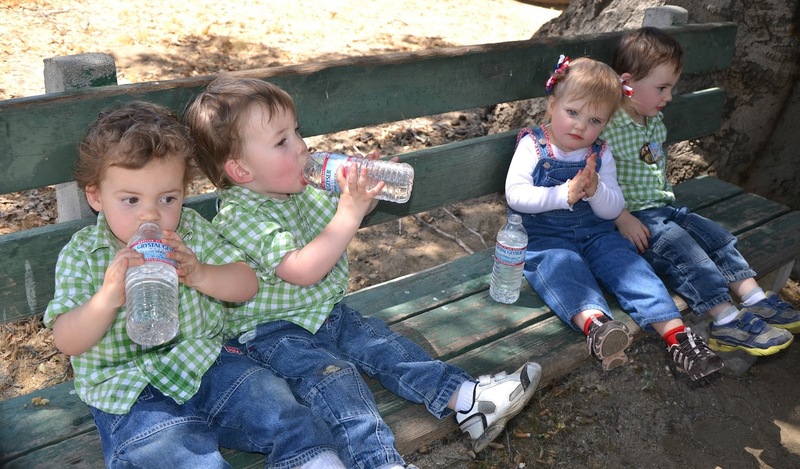 We took the Sugar Snaps to a local Cowboy Festival in the blazing heat with plenty of sunscreen. The shuttle bus which took us to the festival was their first time on the bus. There were lots of people dressed to the hilt in cowboy and cowgirl attire. Ever since we went to the festival, Ryder says, “cowboys, bus” when he plays with the bus toys at home. I think they now associate cowboys and buses and may be pretty surprised when they don’t see any on their next bus ride. 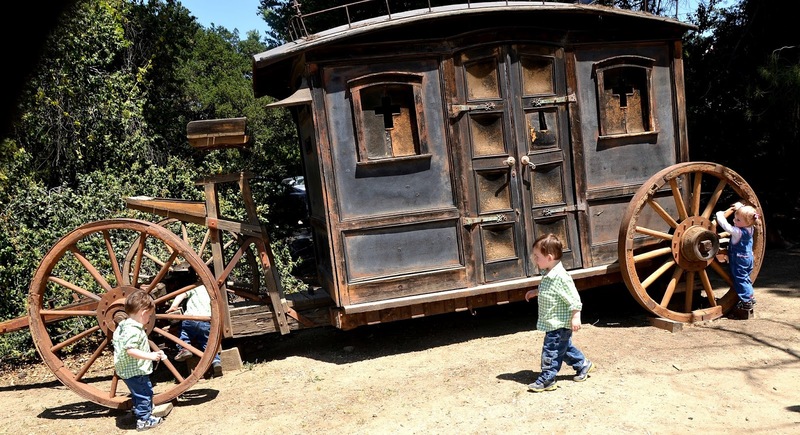 The Sugar Snaps loved exploring the old stagecoach. 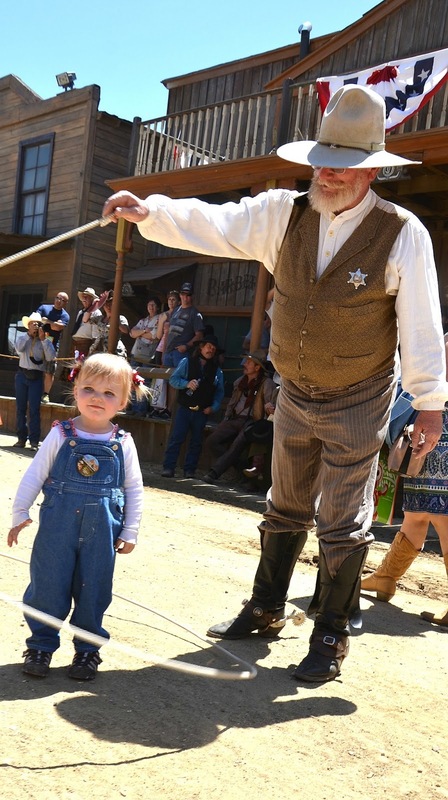 Xayden enjoyed being encircled by the lasso. Capri also got in on the fun. 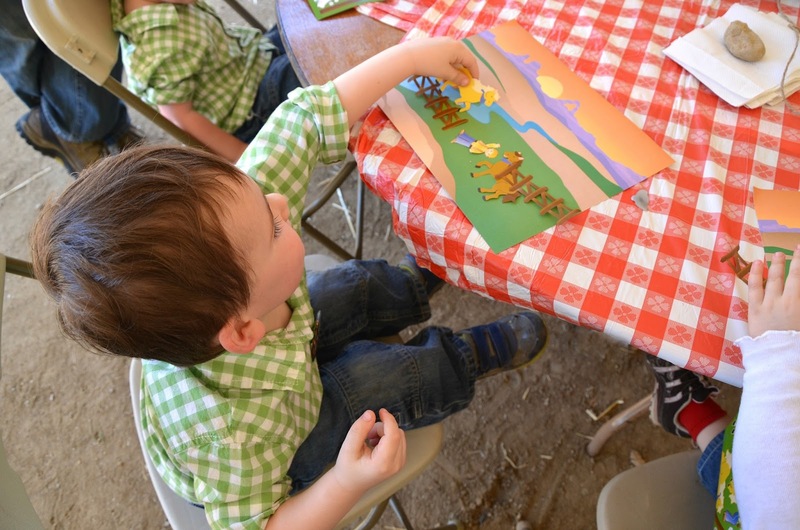 Ryder enjoyed the cowboy crafts table. 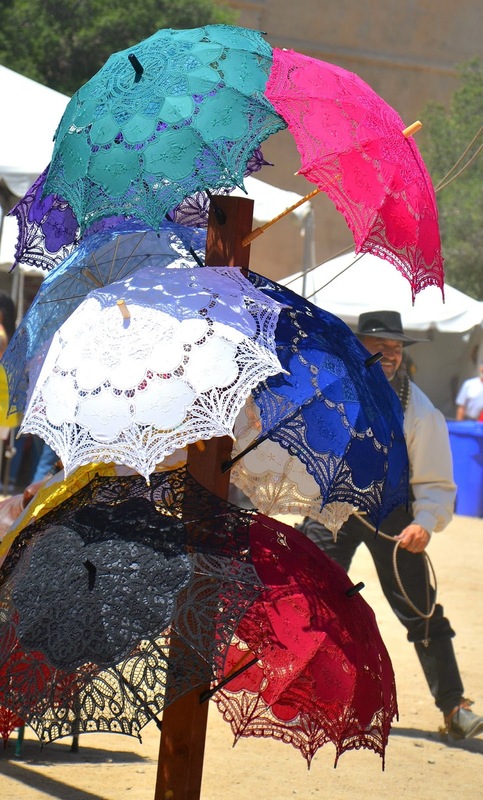 A cowboy peeked out from behind the colorful parasols ready to lasso someone. 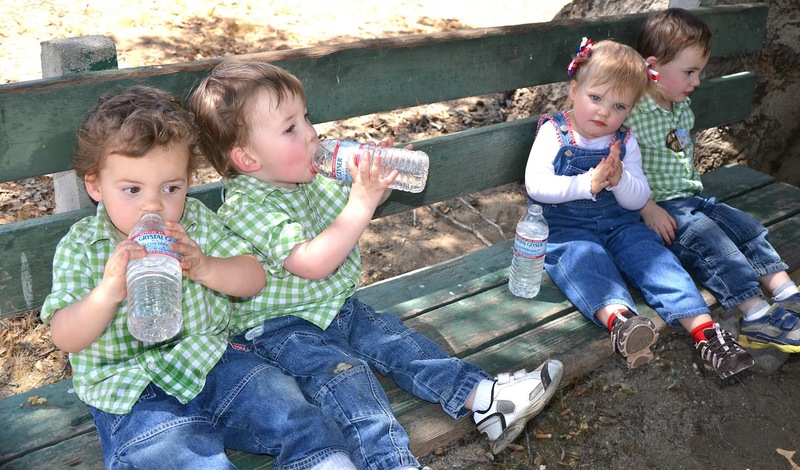 Our little cowboys and cowgirl were pretty thirsty after their Western adventures. 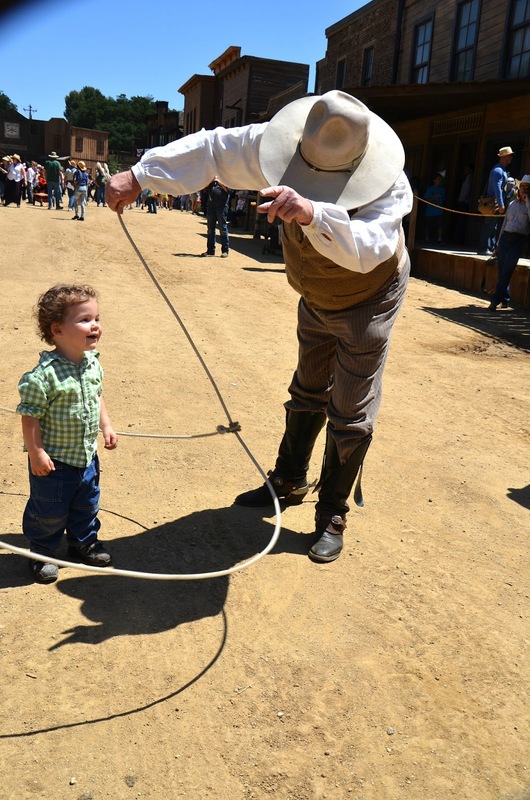 The Cowboy Festival was a fun experience. It was nice to see the community come together and get into the Western spirit. Have you been to any festivals lately? I would love to hear from you. As always, comments are welcome. We love the Cowboy Festival too! They do a great job with the event. As you know, it is so popular that they have shuttles to transport everyone there! The shuttle buses were also exciting for the Sugar Snaps.